If you want to get your writing off to a good start today then you should have prepared yesterday. In the e-Book I am currently working on I finished chapter three with Pamela slowly opening a door to an abandoned shack deeps in the woods. What is on the other side of the door? I was wondering the same thing when I finished chapter three and was done for the day having written nearly 2,000 words. So I wondered what will happen next, what do I write about tomorrow? Rather than do nothing but shutdown my computer for the day, I decided to make notes for tomorrow. That way I do not waste time wondering what happens next when I sit down to write tomorrow. I am facing two options. One, somebody or something is inside, or two, nothing happens. Sometimes nothing is good because the reader is expecting something. I already have a car by the side of the road; the car owned by a character Pamela and two others are looking for, thus the reason they go to this shack wondering if he, Dennis by name, is in the shack, and whether he is alive or dead. It matters not whether he is there or not, the idea is to decide which, then what the characters decide to do with what they know, for there is always something to be learned even if Dennis is not there. But I won’t tell you what, that is not the point. It is about preparing for the next day and you do this by deciding what you want the characters to do, or what you want to have happen. You only have to make quick little reminder notes, something simple, something to trigger your thinking and writing. So when tomorrow arrives and you read your notes, then you are off and running. I currently have finished chapter three and have no idea what happens next, so I must leave you and make my notes. On my Amazon page I have finished e-books. 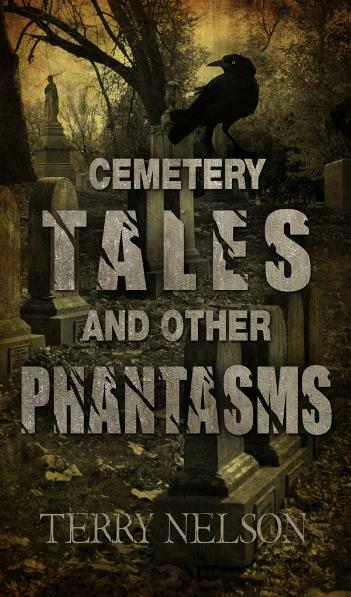 Here is one filled with wonderful paranormal horror stories. It has two four star reviews. I used to write a detailed synopsis of the story as a guideline, so I’d always have some idea where the story is going when I was fleshing it out. that way I would sit and stare at the screen wondering how to get there rather than sit and stare at the screen wondering how to start. And if it isn’t working out, I just change the guidelines until I’m writing again. Although lately I’ve taken to just winging it from start to finish and seeing what happens. This blog is about exploring loony adventures of writers in cyber world so feel free to share and comment. Author of Loonies Series, available on Amazon Kindle. Loonies in the Dugout is a satire on celebrity and fame based on a true story regarding the 1911 New York Giants. Loonies in Hollywood is a novel wherein my hero solves the true life unsolved murder of silent film director William Taylor. I was a small town movie critic for The Chronicle for over ten years, now post reviews on my website http://terrynelson.net There are also freelance new stories I wrote for the paper and an article on how I got to be a film critic in opening credits. I have a degree in English Literature from Western Washington University.